Back in 2015, I mocked Venezuelan socialism because it led to shortages of just about every product. Including toilet paper. But maybe that doesn’t matter. After all, if people don’t have anything to eat, they probably don’t have much need to visit the bathroom. The Washington Post reports that farmers are producing less and less food because of government intervention, even though the nation is filled with hungry people. Venezuela, whose economy operates on its own special plane of dysfunction. At a time of empty supermarkets and spreading hunger, the country’s farms are producing less and less, not more, making the caloric deficit even worse. Drive around the countryside outside the capital, Caracas, and there’s everything a farmer needs: fertile land, water, sunshine and gasoline at 4 cents a gallon, cheapest in the world. Yet somehow families here are just as scrawny-looking as the city-dwelling Venezuelans waiting in bread lines or picking through garbage for scraps. …“Last year I had 200,000 hens,” said Saulo Escobar, who runs a poultry and hog farm here in the state of Aragua, an hour outside Caracas. “Now I have 70,000.” Several of his cavernous henhouses sit empty because, Escobar said, he can’t afford to buy more chicks or feed. Government price controls have made his business unprofitable…the country is facing a dietary calamity. With medicines scarce and malnutrition cases soaring, more than 11,000 babies died last year, sending the infant mortality rate up 30 percent, according to Venezuela’s Health Ministry. …Child hunger in parts of Venezuela is a “humanitarian crisis,” according to a new report by the Catholic relief organization Caritas, which found 11.4 percent of children under age 5 suffering from moderate to severe malnutrition… In a recent survey of 6,500 Venezuelan families by the country’s leading universities, three-quarters of adults said they lost weight in 2016 — an average of 19 pounds. This collective emaciation is referred to dryly here as “the Maduro diet,” but it’s a level of hunger almost unheard-of… Venezuela’s disaster is man-made, economists point out — the result of farm nationalizations, currency distortions and a government takeover of food distribution. …The price controls have become a powerful disincentive in rural Venezuela. “There are no profits, so we produce at a loss,” said one dairy farmer. Here’s where we get to the economics lesson. When producers aren’t allowed to profit, they don’t produce. And when we’re looking at the production of food, that means hungry people. Even the left-wing Guardian in the U.K. has noticed. Hunger is gnawing at Venezuela, where a government that claims to rule for the poorest has left most of its 31 million people short of food, many desperately so. …Adriana Velásquez gets ready for work, heading out into an uncertain darkness as she has done since hunger forced her into the only job she could find at 14. She was introduced to her brothel madam by a friend more than two years ago after her mother, a single parent, was fired and the two ran out of food. “It was really hard, but we were going to bed without eating,” said the teenager, whose name has been changed to protect her. …Venezuela’s crisis has deepened, the number of women working at the brothel has doubled, and their ages have dropped. “I was the youngest when I started. Now there are girls who are 12 or 13. Almost all of us are there because of the crisis, because of hunger.” She earns 400,000 bolivares a month, around four times the minimum wage, but at a time of hyperinflation that is now worth about $30, barely enough to feed herself, her mother and a new baby brother. Our leftist friends like to concoct far-fetched theories of how prostitution is enabled by everything from low taxes to global warming. In the real world, however, socialism drives teenage girls (or even younger) to work in brothels. That’s such a depressing thought that let’s shift the topic back to hunger and toilet paper. 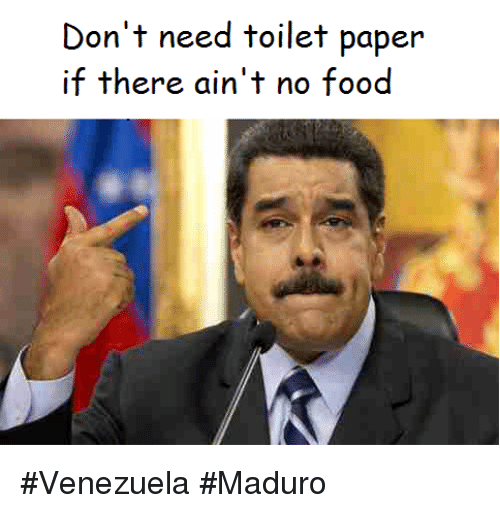 Especially since Venezuela’s dictator is bragging that the nation’s toilet paper shortage has been solved! This is definitely a dark version of satire. But Venezuela is such a mess that it’s hard to know where to draw the line between mockery and reality. For instance, here’s another “benefit” of limited food. If you don’t eat, it’s not as necessary to brush your teeth. 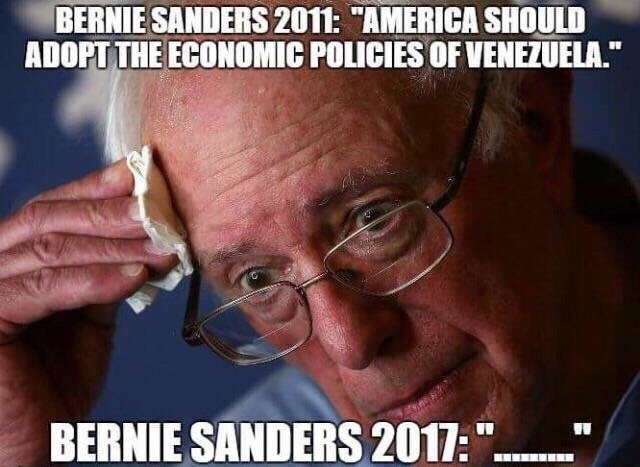 And is the socialist paradise of Venezuela, that makes a virtue out of necessity since – surprise – there’s a shortage of toothpaste. The Washington Post has the grim details. Ana Margarita Rangel…spends everything she earns to fend off hunger. Her shoes are tattered and torn, but she cannot afford new ones. A tube of toothpaste costs half a week’s wages. “I’ve always loved brushing my teeth before going to sleep. I mean, that’s the rule, right?” said Rangel, …“Now I have to choose,” she said. “So I do it only in the mornings.” …The government sets price caps on some basic food items, such as pasta, rice and flour. …those items can usually be obtained only by standing in lines for hours or by signing up to receive a subsidized monthly grocery box from the government… Since 2014, the proportion of Venezuelan families in poverty has soared from 48 percent to 82 percent… Fifty-two percent of families live in extreme poverty, according to the survey, and about 31 percent survive on two meals per day at most. Isn’t socialism wonderful! You have the luxury of choosing between two meals a day, or one meal a day plus toothpaste! By the way, the central planners have a plan. 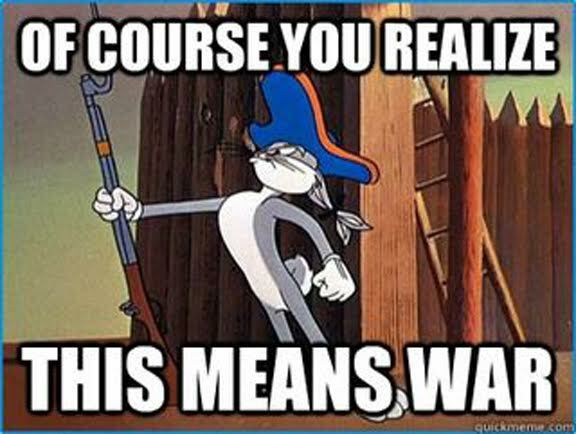 Though it won’t make Bugs Bunny happy. Rabbit is now on the menu! Here are some excerpts from a CNN report. Let them eat rabbits. That was basically the message from President Nicolas Maduro to Venezuelans starving and struggling through severe food shortages… The Venezuelan leaders…recommend that people raise rabbits at home as a source of food. …The agriculture minister argued that rabbits easily reproduce and are a source of protein. He also recommended citizens consider raising and growing other animals and vegetables at home. It’s just the latest attempt to try and solve the food shortage problem. The government forces citizens to pick up groceries on certain days of the week depending on social security numbers. Gee, isn’t this wonderful. The government cripples markets so they can’t function and then advocates people live like medieval peasants. Maybe there should be price controls on clothing, along with having the government in charge of distribution. That will wreck that market as well, so people can make their own clothes out of rabbit pelts. I wonder whether a certain American lawmaker is rethinking his praise of Venezuelan economic policy? Based on what he said as recently as last year, the answer is no. Hatred of the rich is far more fun than sympathy for the poor, therefore socialism will never lose its popularity. Remember, these are Catholics, those of the nailed-up body cult. They believe deeply that profit is naughty and self-sacrifice is noble and that death is something to look forward to. Socialism will never lose its popularity with them. Rich men can’t get to heaven and camels can’t get through the eye of a needle. You know. Virgins are blessed. Joy is damnation. Poverty is virtuous and pride is a sin. There’s far more than bad economics going on down south. Far more. There’s death-worship.